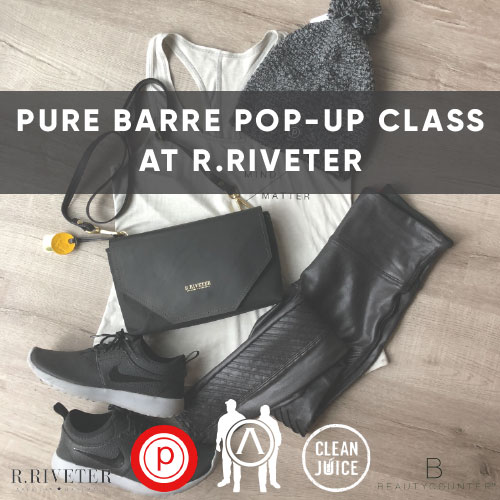 Pure Barre, Clean Juice, + BeautyCounter Pop Up at R.Riveter Introduce yourself to Pure Barre, Clean Juice, BeautyCounter, the Duskin & Stephens Foundation and R.Riveter all at once! $15 ticket, 100% of ticket proceeds go to the Duskin & Stephens Foundation. - And of course, mimosas! *Please bring a yoga mat, towel and water. Space is limited so purchase your tickets early!